Chameleon Chairs launched in 2005 at the prestigious Academy Awards Governors Ball and since then they’ve expanded their line to include tons of alternatives to the traditional chivari chair. 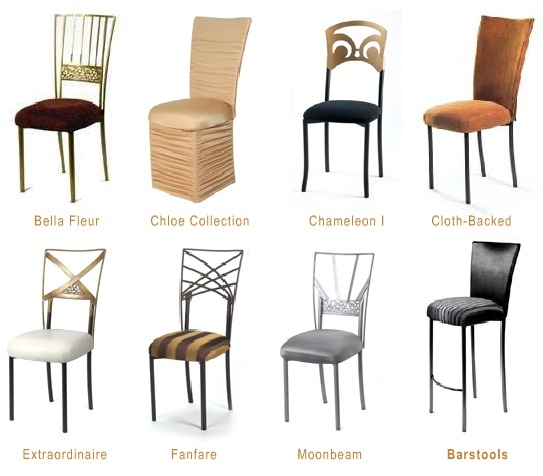 Each chair has numerous back styles and can add a touch of glamour to any event. Okay, so I am only thirteen but I LOVE photography and when I saw these pictures I had to leave comment. My dream is to take pictures for a wedding. When I first imagined taking pictures, the setting was at a wedding. I already know who I am going to get married to, or so i tease. But I would love to have pictures like these!! AMAZING!